Why Should You Organize a Union at your Workplace? Your union is your voice. Non-union women earn $7.76 less per hour than women who work within a union. The gap in pay between men and women working the same hours is $115 per week smaller for union-represented women. Women working in non-unionized environments in Canada make on average 71 percent of their male counterparts. While there is still work to be done, union negotiations across Canada have closed the pay gap to 11 percent unionized women make on average 89 percent of what menmake for the same role. Landed immigrants with a union earned 3.97 percent more than those without a union. Across all New Canadians in Alberta, this equaled a total of $10.1 million to support their families. Union workers aged 16-24 earned on average $4.92 more per hour than non-unionized young people. Working with a union earned Aboriginal workers an average of $8.47 per hour more than their non-union counterparts. Joining a union means that members are part of collective agreements with their companies, which protect them from any unexpected changes in the terms of their employment. 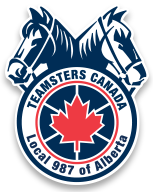 This provides security for members and their families today and down the road, as jobs are safe and regular pay increases are guaranteed through routine collective bargaining. We take out insurance on our homes and cars to protect their value. Paying union dues is similar; it’s an investment in your job and your future. Have something to say about how you or your peers are treated at work? Being part of a union means that complaints and grievances cannot be ignored like they can in non-unionized environments. Unions hold management accountable for their actions, so members with workplace issues can expect to see results, not reprimands. While there is a basic standard that all employers, unionized or not, must follow, not all workers’ rights are protected by the government. Unfortunately, many workers are unaware of even these basic rights and end up being mistreated. One major right that is afforded to everyone in Canada regardless of industry is the right to organize your workplace; to assemble, participate in and be protected by a labour union. There are several important steps to follow when considering forming a bargaining unit in your workplace (link to Join a Union page), but the first step is knowing you are legally entitled to be part of a union, no matter who you are.